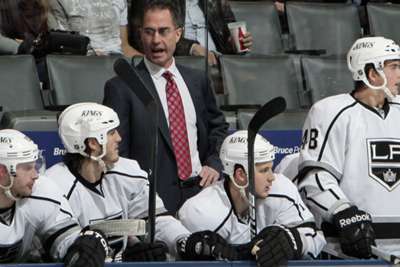 The Los Angeles Kings have fired head coach John Stevens and assistant coach Don Nachbaur. Stevens, who finishes his tenure with a 49-37-9 record, will be replaced by Willie Desjardins on an interim basis. Former Kings player Marco Sturm, who serves as head coach and general manager of the Germany national team, will take over assistant duties from Nachbaur. "This is a critical time in our season and our results to date have fallen well below our expectations. 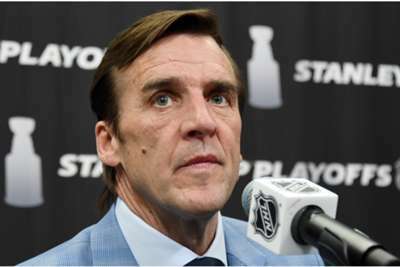 With that in mind, this was a difficult decision but one we feel was necessary," Kings vice president and general manager Rob Blake said in a statement. "We have a great deal of respect and appreciation for John's time with our organization. He was a key part of our past success, and we have tremendous gratitude for his many contributions." Blake added: "We appreciate everything Don has done as a member of the Kings coaching staff and wish him the best moving forward." Los Angeles are bottom of the West and rank last in the NHL with an average of 2.15 goals per game.